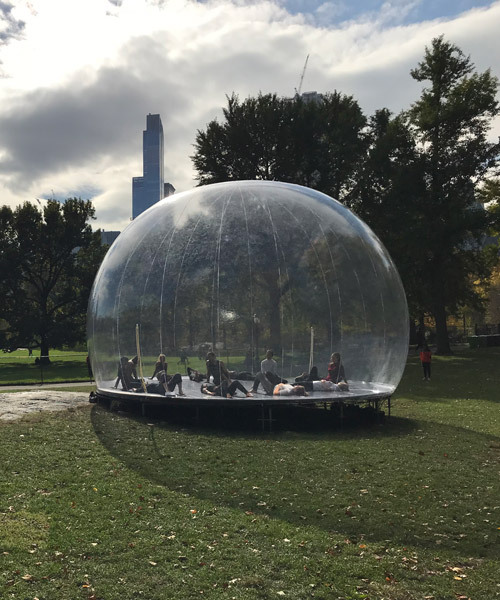 the ‘environment-bubble’, a widely influential blueprint designed by canadian architect francois dallegret in 1965, has been brought to life as part of performa 2017 in new york city. 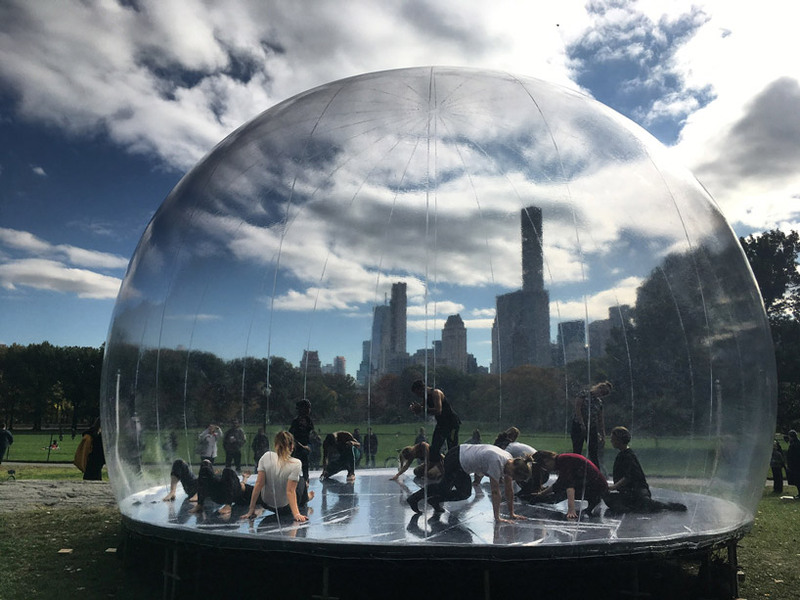 the unrealized inflatable structure, will roam around the city of new york hosting public dance workshops in collaboration with choreographer dimitri chamblas. 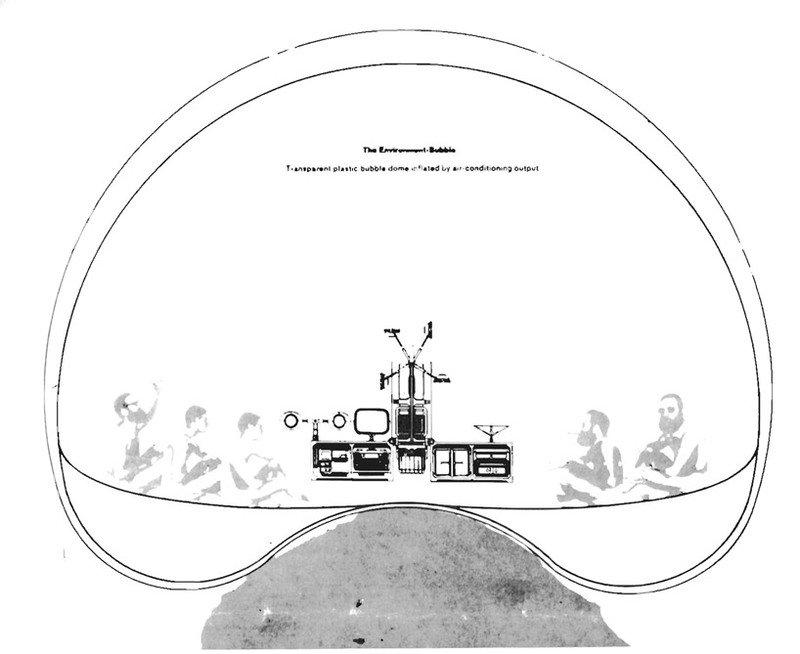 initially envisioned as a flexible, temporary dome that would transform our modes of living, the ‘environment-bubble’ was one of dallegret’s mechanical drawings, included in an article critiquing the american home in the 1960s. spotlighting the inability of the then-ideal structure to protect against the elements as well as general waste of energy, dallegret presented the structure as a perfectly clean, cybernetic paradise. 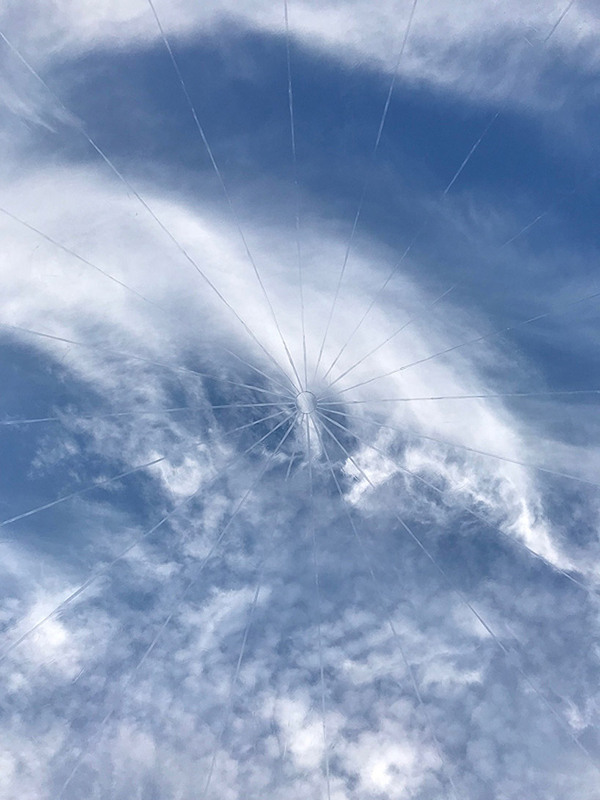 for performa 17, the environment-bubble has been realized with support by canada council for the arts. 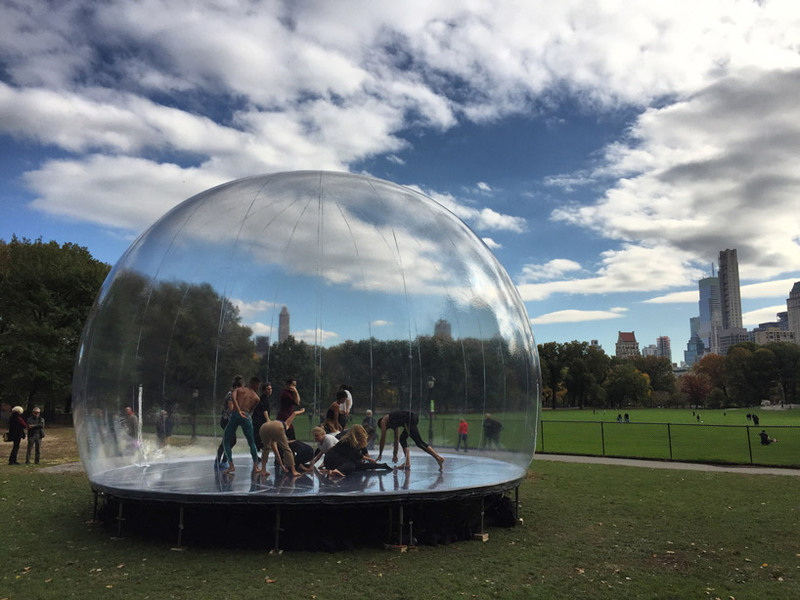 dallegret has collaborated with french-american architect françois perrin and choreographer dimitri chamblas, to turn the inflatable structure into an active site of intellectual and physical engagement with free daily dance workshops, open to the public. performa 17, which runs until november 19 describes the clear plastic bubble as ‘an active site of intellectual and physical engagement‘ with free, daily dance workshops, open to the public. 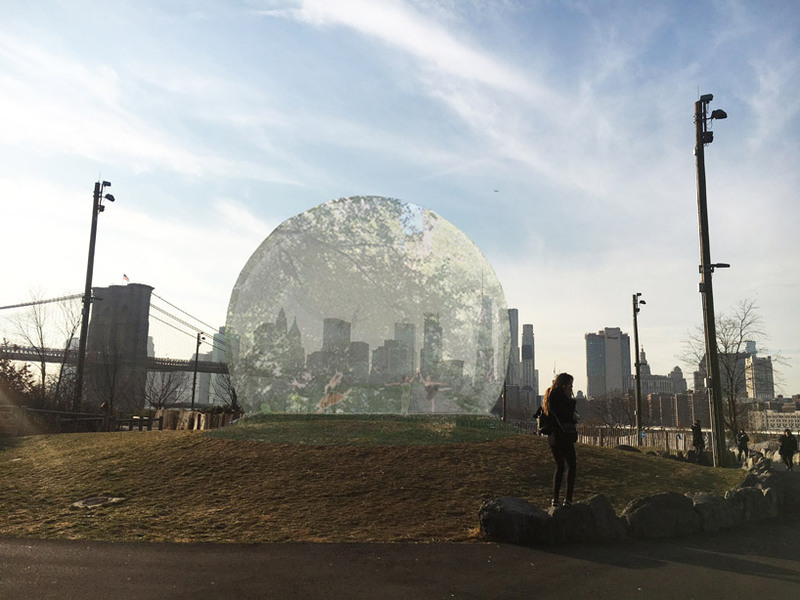 co-curated by charles aubin and françois perrin the environment bubble has hosted performances at brooklyn bridge park, empire fulton ferry lawn, presented in partnership with calarts dance.